I wanted to take a moment to congratulate my writing friends Laura Maylene Walter and John Frank on their recent publishing success. 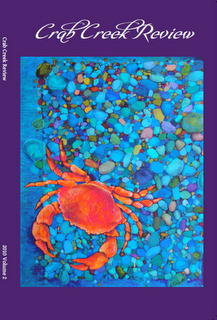 Laura’s story “Live Model” appears in the most recent issue of the Crab Creek Review (issue 2010, volume 2). Laura’s article “Why We Write: The Pressure of Young Promise” appears in the November/December 2010 issue of Poets & Writers Magazine. (You need to buy the print edition to read the full text). Congratulations to both of my talented writer friends!